Our piano removal and disposal starts at $99!! Excellent client communication so you stay informed and there are no surprises. Sometimes we can even do a job for free if we can salvage and resell the piano!! You can always count on upfront pricing that we guarantee to be the lowest price you will find to get rid of your junk no matter what size piano you have! 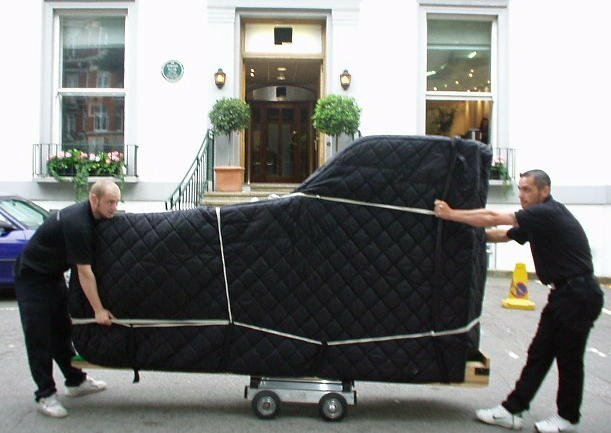 spinet, upright, baby and grand pianos, organ removals, we handle them all! We guarantee the best price for you to quickly dispose of your piano! Piano removals typically go fast. If you prefer the owner to come out and give a free estimate we can do that, or we can start with a call. When we quote prices over the phone, we typically offer you a window of $40 for the price to fall into. If we quote you $150-$190 then our crew will give you the final price after seeing the project. This will always take place before we start the removal. We have to do this. No matter how many questions we ask and pictures we see there is always something that isn't discussed. So we leave the final pricing up to our crew. 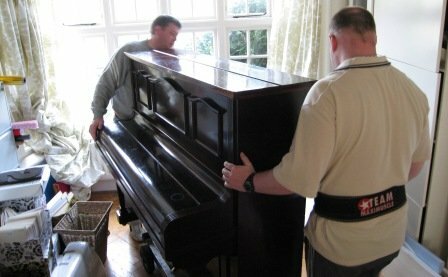 After verifying the final amount of the piano removal, our crew will determine with your help the best way to remove the piano. Our crew takes into consideration walk way clearance, overhead clearance, other furnitures proximity, floor quality, stairs, and weight. Once the plan has been set they will act fast while being careful and remove the piano and load it on the truck for recycling. YES, recycled. We care about the environment and go out of our way to protect it. How tall is it approximately 3, 4, or 5 feet tall? How many stairs does it need to go up or down? When we say we go the extra mile to recycle pianos, we mean it. 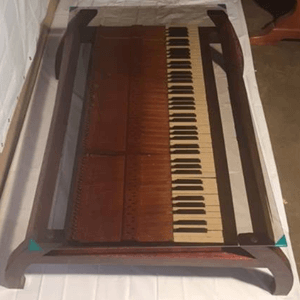 This might even be an extra hundred miles... On a select few pianos with the right bones, we will turn them into coffee tables and kitchen tables for the eclectic musician that can stand to not have a piano keyboard within their site all the time! If you would be interested in having your sentimental piano transformed and given new life within your home, give us a call!